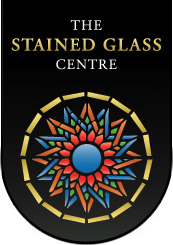 The Stained Glass Centre is pleased to confirm its 2014 Spring and Autumn lectures. Dr Neil Moat, an expert in nineteenth-century stained glass, will give the Spring lecture, entitled ‘”He is not Here…”: First World War memorial stained glass and the fragile art of remembrance’ on Thursday 22nd May 2014, contributing to the centenary commemorations of the First World War. The Autumn lecture ‘Old Craft, New Art; An Artistic Journey by Helen Whittaker’, will be given on Thursday 2nd October. Helen Whittaker, Creative Director, Artist and Designer at Barley Studio, Dunnington, is a renowned stained glass artist. Her recent commissions include the ‘Paradise Window’ at St. Brandon’s Brancepeth, installed in March 2014, and the forthcoming ‘Tree of Jesse’ window, an innovative design for St Mary’s Priory Church, Abergavenny. For more information, please visit our Lectures page.